Training healthy abdominals requires an artistic balance of muscular strength and movement control. 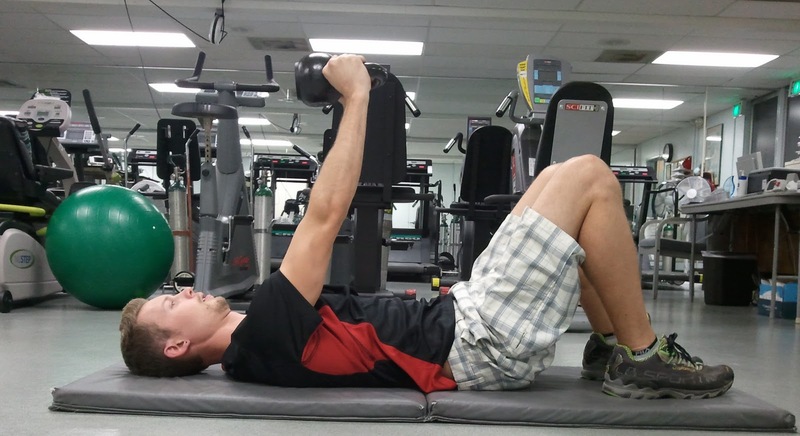 For the core to truly be functional and effective at preventing back injuries, one must address both aspects of core training. More often than not, “strong” individuals engage in lifting activities with “rock solid” abs. For many of these individuals, their control of the abdominals, and thus, the control of segmental stabilization of the spine is poor. A hypermobile spine during exertional activities amounts to a major risk of spinal injury. 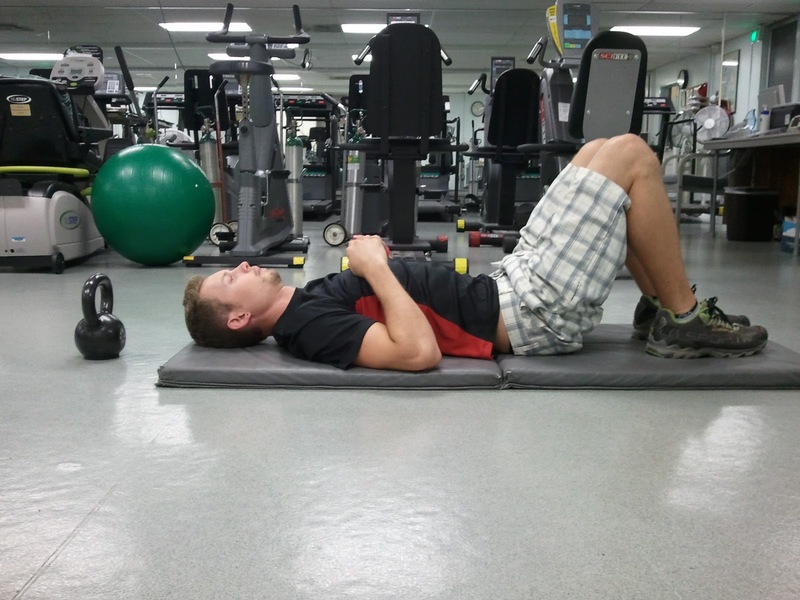 The supine position is a good starting point for training the abdominal muscles. One of the safer and more efficient exercises that address abdominal strength in a controlled dynamic movement is the “Pull Over”. The Pull Over consists of a supine posterior pelvic tilt combined with glenohumeral extension. The combined motion sandwiches the core with the upper and lower quarters of the body forcing it into a controlled and co-activated contraction. To begin, one must eliminate lumbar lordosis by flattening the “small” of the low back to the ground. This can be done by tightening the abdominals and relaxing the legs. Other cues can be drawing in your belly, or, hollowing out your belly. The lordosis of the lumbar spine should be so eliminated that one cannot slide a piece of paper under the low back. It is only then that the core is properly engaged and bracing the spine for controlled activity. This is an example of excessive lumbar lordosis. This is an example of “core bracing” where the core is engaged and lordosis is eliminated. ... pulling it "over" your head into the “Driver’s” position. To maximize core contraction and even engage the shoulder girdle, bring the kettlebell into the “Pull Back” position. One can then make this pattern a dynamic exercise by repeating the pull over. Of course, one can get increasingly creative by involving lower extremity extensions both unilateral and bilateral – really, the sky’s the limit for these mat exercises. Finally, I’d like to introduce you to my patient, client, and friend – Jacob. Jacob was kind enough to provide us a video testimonial regarding his experience with Kettlebell Therapy. I’m truly proud of Jacob for the manner in which he handled injury, and, his positive attitude and perseverance to not just recover, but to excel. Coming up: I will be speaking at the National Speaking of Women’s Health conference sponsored by Sharp Healthcare in San Diego. The topic: “Melting Fat in 15 Minutes: An Introduction to Kettlebell Exercise”. Also, I’ll be in the Expo hall exhibiting the Physio Health & Fitness Screen. Click here to register!